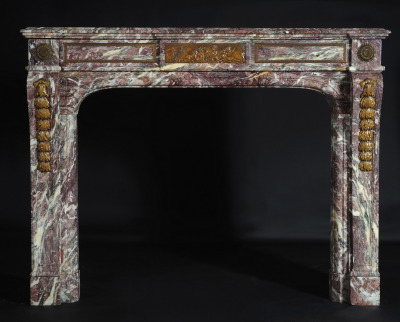 An exquisite Louis XVI marble and ormolu fireplace. 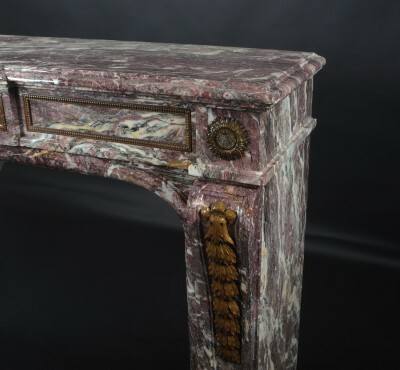 The variegated breche violette marble, so vivid and striking, contrasts beautifully with the gilt ormolu mounts. 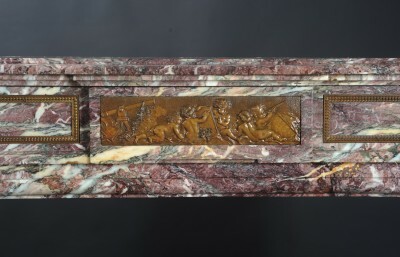 The panelled frieze centers around a supreme quality relief depicting putti observing the stars with telescopes, in the manner of painter and etcher François Boucher. Ormolu circular rosettes surmount the scrolled jambs, also finely decorated with ormolu mistletoe garlands.